It is possible to walk before the Lord with a perfect heart! God said to Abraham, "I am the Almighty God; walk before me, and be thou perfect" (Genesis 17:1). God also said to the children of Israel, "Thou shalt be perfect with the Lord your God" (Deuteronomy 18:13). David determined in his heart to obey this command. He said, "I will behave myself wisely in a perfect way... I will walk within my house with a perfect heart" (Psalm 101:2). Scripture also points out that Solomon fell short of God's command to be perfect: "His heart was not perfect with the Lord his God, as was the heart of David his father... He went not fully after the Lord, as did David his father" (1 Kings 11:4-6). We see the Lord's command to be perfect in the New Testament as well. Jesus said, "Be ye therefore perfect, even as your Father which is in heaven is perfect" (Matthew 5:48). Paul wrote, "That we may present every man perfect in Christ Jesus" (Colossians 1:28); and, in the same letter, he wrote, "...that ye may stand perfect and complete in all the will of God" (4:12). And Peter said, "But the God of all grace, who hath called us unto His eternal glory by Christ Jesus, after that ye have suffered a while, make you perfect, stablish, strengthen, settle you" (1 Peter 5:10). Perfection does not mean a sinless, flawless heart. Man judges by outward appearances, by what he sees. But God judges the heart; the unseen motives (1 Samuel 16:7). David was said to have had a perfect heart toward God "all the days of his life," yet he failed the Lord often. His life was marked forever by adultery and a notorious murder. The basic definition of perfect is: completeness, maturity. In the Hebrew and Greek, the definition includes: uprightness, being without spot, without blemish, totally obedient. It means to finish what was started; a complete performance. Wesley called it "constant obedience." A perfect heart is a responsive heart. "The Lord searcheth all hearts" (1 Chronicles 28:9). The perfect heart cries out with David, "Search me, O God, and know my thoughts: and see if there be any wicked way in me" (Psalm 139:23-24). God also said to Jeremiah, "I the Lord search the heart" (Jeremiah 17:10). The Hebrew meaning for this phrase is, "I penetrate; I examine deeply. "Scripture says, "For the Spirit searcheth all things, yea the deep things of God" (1 Corinthians 2:10). Jesus, in Revelation 2:24, speaks about "the depths of Satan," of going down into the profound deepness of sin. He was saying that evil goes down deep into the soul - that it has roots that go down into hell. David said of the wicked ones: "The inward thought of every one of them, and the heart, is deep" (Psalm 64:6). These passages all are holy warnings: "You don't realize how deeply this association with evil affects you. It takes you down into the depths of Satan himself, depths that are mysterious, bottomless, profound. This path leads to hell." In these final days, sin has become complicated, subtle, sensuous and more sophisticated. It comes disguised as art, culture, and education. I believe there are new depths to sin now, which never existed before. It has taken on stronger, deeper roots. Our children are confronted with depths of sin that we never did or never will know! "Woe unto them that seek deep to hide their counsel from the Lord, and their works are in the dark" (Isaiah 29:15). brother backslid into his old sins. He went through all the motions at church and was told by others that everything was going well with him - but he knew better! He was going down deeper into his old sins! One evening, he came to the prayer meeting, seeking for the pure Word of God.That same night, right next to this man, a man was sitting in a wheelchair. His wife was with him. They had come many miles simply because they wanted to hear the pure word preached! This man had hungered to have his innermost being shaken by God. He said, "It's been so long since I've heard a message that convicted me!" Multitudes of Christians today want a Blood covering - but not a cleansing! The ritual of the Old Testament tent tabernacle provides a clear example of the kind of walk with God the Church should have. The tabernacle had an outer court where the sacrificial animal was slain. This provided the blood covering for sin. But outside, too, was a laver where cleansing took place. No priest could enter the Holy of Holies and commune with God face to face without being cleansed and making the commitment required by God. The gospel as we hear it today goes something like this: "Just go to the altar and, by faith, trust in the Blood shed there. Then go boldly into the Holy of Holies. The veil is rent, your Daddy loves you, He is waiting. He sees only Jesus in you." Christians who embrace this thinking believe they can bypass the laver - which, for us stands for the washing by the water of the Word. 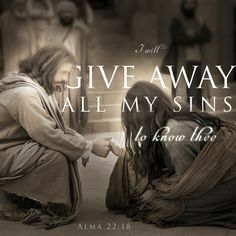 They believe they can push past the commitment of the holy place with sin caked all over them and sinful habits deeply embedded in their hearts, walk right in and boast, "I am the righteousness of God in Christ." The perfect heart is after more than security or a covering for sin! It seeks to be in His presence, and to have communion! Communion is talking with the Lord, sharing sweet fellowship, seeking His face. And that is what you get in the Holy of Holies! It comes in this order: covering, cleansing, commitment, and communion. Many believers, however, want nothing more than to be covered – to have a quick ticket to glory! No pain, no cross, no cleansing! They go about crying, "I'm under the Blood, under the Blood! I'm safe!" Yet they quote only one-half of the verse: "And the blood of Jesus Christ His Son cleansesth us from all sin" (1 John 1:7) Read all of it: "If we say we have fellowship with Him, and walk in darkness, we lie, and do not the truth: but if we walk in the light, as He is in the light... the blood of Jesus Christ His Son cleanseth us from all sin" (1 John 1:6-7). Jesus said, "Now ye are clean through the word which I have spoken unto you" (John 15:3). We hear preaching that says, "You don't need to be searched. All your sin is under the Blood anyway! All this digging and searching out of sin brings only condemnation and guilt." But Scripture says David had a perfect heart - yet he cried out, "Search me, O God!" In Revelation 2:23, Jesus says, "All the churches shall know that I am He which searcheth the reins minds and hearts: and I will give unto every one of you according to your works." Folks, He was addressing the Church! The Lord's searchings are not unkind, but instead, they are redemptive. His purpose is not to catch us in sin or condemn us - but rather to prepare us to come into His holy presence as clean, pure vessels. "Who shall stand in His holy place? He that hath clean hands, and a pure heart... he shall receive the blessing from the Lord" (Psalm 24:3-5). A perfect heart is not only searchable, but it’s also a trusting heart; which is our second point. God has been showing me something recently about trusting Him that I've never seen before! The psalmist wrote, "Our Fathers trusted in Thee: they trusted, and Thou didst deliver them. They cried unto thee, and were delivered: they trusted in Thee and were not confounded" (Psalm 22:4-5). Over and over David testified, "In the Lord put I my trust... " (Psalm 11:1), "O my God, I trust in thee" (Psalm 25:2). The Hebrew root-word for trust suggests, "to fling oneself off a cliff" - that is, to be like a child who hears his father say, "Jump!" and who trustingly obeys, throwing himself off the edge and into his father's arms. That is one aspect of trust. Some of you are in that place even now. You are on the edge, teetering, and you have no other option but to fling yourself off the edge and into the arms of Jesus! Some have simply resigned themselves to their situation - which in reality is no more than pessimism. But they call this trust. It is not trust, though - it's numbness.